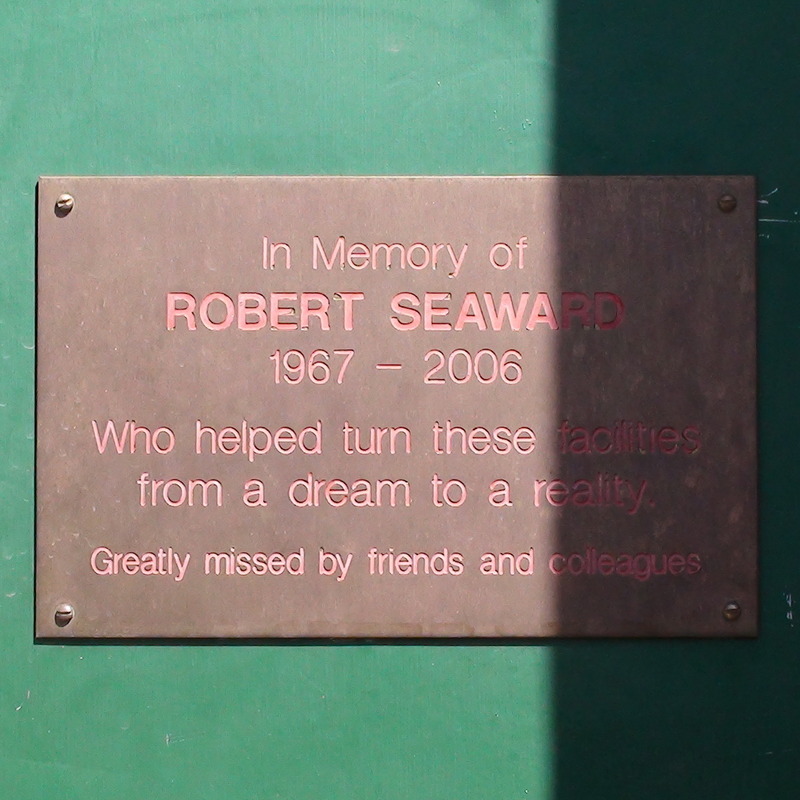 In memory of Robert Seaward, 1967 - 2006, who helped turn these facilities from a dream to a reality. Greatly missed by friends and colleagues. We can find no information about the "facilities" behind this green door. Can someone help? 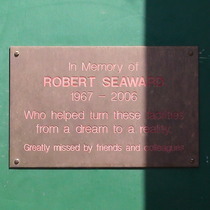 The small Seaward plaque is on the green door. The Northern Line plaque is immediately inside the entrance to the tube, on the left.